Rick and Morty fans can sleep easy tonight knowing that their favorite sci-fi animated comedy will live to fight another day. 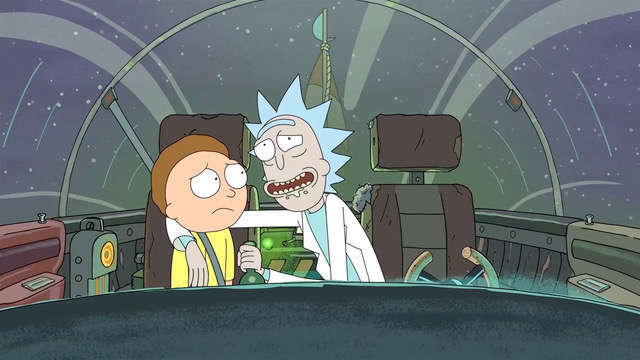 After months of speculation and cryptic tweets, Adult Swim has announced in a press release that its runaway hit about a Doc Brown-like mad scientist (Rick) and his grandson (Morty) has been renewed for a fourth season, which, given the show's success, isn't that surprising. What's shocking is that they ordered 70 episodes. A 70-episode order is unprecedented from Adult Swim, which doesn't have that many shows that have ever run past the 50-episode mark. (Networks like FX and TBS have done huge renewals like this in the past to guarantee a show will hit the 100-episode mark commonly associated with syndication deals.) It's definitely a sign that Rick and Morty, the brainchild of co-creators Dan Harmon and Justin Roiland, is a priority for Adult Swim. And why wouldn't it be? Anyone who followed the bizarre Szechuan Sauce incident from last year knows that the series has a legion of super-fans who will do anything for it, including bothering the co-creators about when they'd finally get an official Season 4 announcement. Roiland playfully chided those very fans in his tweet about the announcement. In addition to getting a rabid fanbase off their backs, this announcement also gives Harmon and Roiland a significant amount of narrative space to explore going forward. The show has always been one of the more ambitious animated series on the air, so expect the writers to use the freedom of a 70 episode order to explore even bigger, crazier ideas. "I’m feeling great," Harmon told GQ in an interview following the announcement. "Had to make up my mind that this wasn’t a guarantee, for the sake of my own emotional well-being. But now the deal is closed and it’s official, so I can finally actually breathe and be as excited as I’ve wanted to be. I’m ecstatic."